When you join a new online sportsbook, the first thing any experienced punter does is check out the welcome offers and promotions that are available on the site. All new online sports betting sites like to welcome new players with these offers to make their first gambling moments with them as pleasurable as possible. It is also a very good way of introducing betting and online gambling to new customers who may have not had much experience of using an online sportsbook. Winner Sports have put on a casino-like bonus for sports fans when they register and sign-up at the site. New players are eligible to a 100% deposit bonus up to £200 when they join. To take advantage of this offer, you must make a minimum deposit of £30 and you will then be entitled to a bonus worth up to £200. There are plenty of wagering requirements associated with this bonus. Firstly, to withdraw any pending winnings, you must first wager your bonus eight times and your full cash deposit must be wagered before you’re eligible to withdraw any winnings. Your stake must contain minimum odds of Evens and at least 50% of the bets placed must be placed on multiples. All rollover requirements must be completed within 14 days of the bonus activating. In the event that it’s not completed in the allotted time, then the bonus balance and all the winnings are forfeited. Deposits made via Skrill, NETELLER, paysafecard and Ukash are not eligible for this offer. There’s so much more to benefit from at Winner Sports than just the welcome offer, as there’s plenty to reward existing customers. There are so many betting markets for a number of different sports, but the website is very navigable and it suits everyone, regardless of what their favourite sport is. There’s something for all football fans, whether it’s the full time result, goalscoring markets or the number of corners awarded in a match. There’s plenty for those who love horse racing too, including promotions on the big meetings and ever-changing odds as the race nears the start. Betting In-Play is one of the best things to happen to the gambling industry in recent times and it enables players to place bets in the middle of a match, game or race. The odds constantly change as a result of the action that’s taking place live, meaning that you can now bet and take advantage of some great prices as it all unfolds. The world of online betting has changed significantly from the days when you had to travel to the nearest shop and place a bet pre-match or before the start of an event. The other modern feature to have revolutionised the gambling industry is the option whereby players can withdraw their winnings early, or cash out. If you’ve placed a bet prior to the event taking place, then you can cash out on certain markets. If the team you selected is winning, but you’re not sure that they’ll hold on to the lead, then you can cash out some of your winnings. It may not seem like it, but this is also a good way of minimising your losses. 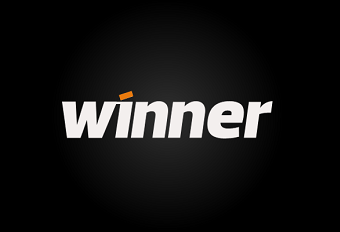 The In-Play section at Winner Sports is very easy to see, as it’s one of the first things you’ll see on the homepage and can be accessed by clicking on a tab at the top of the homepage. It doesn’t matter which online bookmaker you’re using, as there are always terms and conditions and wagering requirements that are in place when it comes to promotions, deposit bonuses and any other bonus offer that might be in place. It’s the same for free bets too. When it comes to sports betting, the time it takes for a bet to be settled varies, so many promotions state a limit on the number of days that can pass in order for the bet to be completed. Before participating in a promotion, it’s a good idea to check the time limits against the bets you intend to put down to see if they will be settled in time for you to collect your winnings. Winner’s welcome offer works as a “100% pre-wager bonus up to £200” and acts as a first deposit bonus. This is a bonus that’s more commonly seen at online casinos, but the premise is exactly the same. When a deposit is made of a certain size, the player is then rewarded with a percentage of money on top of their deposit. New account holders at Winner Sports must make a deposit of £30 or more to be entitled to a 100% qualifying deposit up to £200. Betsafe sport double the first deposit of their new customers. They can get up to £30 in free bets. Open an account, make a first deposit of minimum £10 and get your bonus.